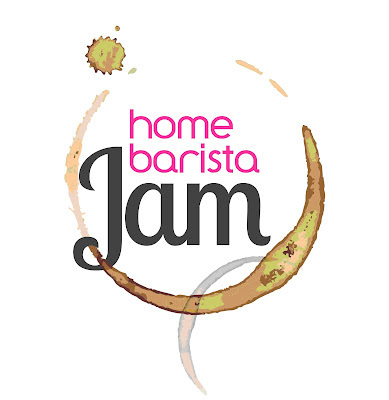 The Home Barista Jam is about to explode on to the coffee scene. It is an exciting, first-of-it's kind competition where Gauteng's aspiring home baristas get a chance to prove their skills in a competition format, play on the most professional, state-of-the-art Home Barista coffee equipment in the world and win fantastic prizes, including R10 000 in prize money. There are limited spots available!! Home Baristas will battle in out in 2 categories - an Espresso round and a manual brewing round. In each round, 3 competitors will have 30 minutes on stage to prepare their beverages according to the rules of each specific round. Baristas have the choice of competing in just one category, or if they want to reap the most rewards, in both to become the overall winner. The Coffee Cocktail Invitational (Think Coffee in Good Spirits but less rules and just for fun, although there will be prizes and of course you are all invited - The Coffee Magazine invites some of SA's top baristas to compete in a demonstration of skill and coffee infused indulgences! Each of the 6 professional baristas will have 15 minutes to prepare a coffee based cocktail, paired with alcoholic and non-alcoholic ingredients, to wow the audience and TheCoffeeMag judges. This event will be an opportunity for audience members to meet SA's top baristas, interact and taste their coffee cocktails and discuss coffee with these industry heroes. An exciting day of preparation and interaction at the Home Barista Jam stand - There will be interactive Demos all day on the stage including tastings, method workshops, cuppings of special lot coffees and How To's for the audience. it will also be an open forum of discussion and practice sessions of the state-of-the-art home barista set-ups that will be on stage - these will be booked in advance by the competitors and practice time for home barista competitors will be scheduled. There will be merchandise on sale, BGSA information for those keen on joining the association created for non-professional coffee loving people, and competitions through the day. This is a Compulsory Service round which means the coffee beans will be provided for each of the competitors and it is compulsory to use these beans! The Manual Brewing competition will kick off with 3 Home Baristas on stage at a time. Each barista can use the manual brewing method of their choice and all baristas will use the same Speciality coffee provided. There will be manual brewing equipment available such as Chemex, Aeropress, V60 pour overs, and siphons, and grinders on stage, but the serious home baristas will most definitely bring their own personal set-ups , scales, refractometers and grinders to the party! Espresso Round and Prize giving. - This is a Compulsory Service round which means the coffee beans and milk will be provided for each of the competitors and it is compulsory to use these beans and milk! TheCoffeeMag Home Barista Jam stage will give competitors the once-in-a-lifetime opportunity to compete on 3 home espresso espresso and grinder set-ups that until now, have never been assembled under the same roof! The Beautiful La Marzocco Linea mini - recently unveiled at the WBC 2015 in Seattle, with the WBC official grinder brand Mahlkonig, then the Nuova Simonelli music Lux and Grinter Grinder - the dream setup of any home barista, and finally the Iconic Mazzer Mini grinder and Isomac one of the most traditionally formidable home barista setups over the last 10 years. 3 baristas will take to the stage at a time in 30 minute heats and baristas will have 10 compulsory minutes on each of the 3 setups to serve 1 espresso and 1 cappuccino per set-up and present it to the judges within each 10 minute period in the heat. Judging is done and scored immediately. Baristas may pull as many shots as they like and steam and pour as many jugs of milk and beverages as they like per station, but they must serve only one of each beverage per station, to form a total of 6 beverages i,e 3 espresso and 3 cappuccinos per setup. They will only be scored on the final beverages presented to the judges. Are you ready for the challenge? Have your beans and equipment ready and start making your special coffee more special. Go for it! Chocolates and coffee needs no introduction as by mere mention of it's name your taste buds along with brain starts processing all the great nostalgic moments. It is a necessity as well as appreciation of best things of life as we continue to explore different types of coffees and chocolates. 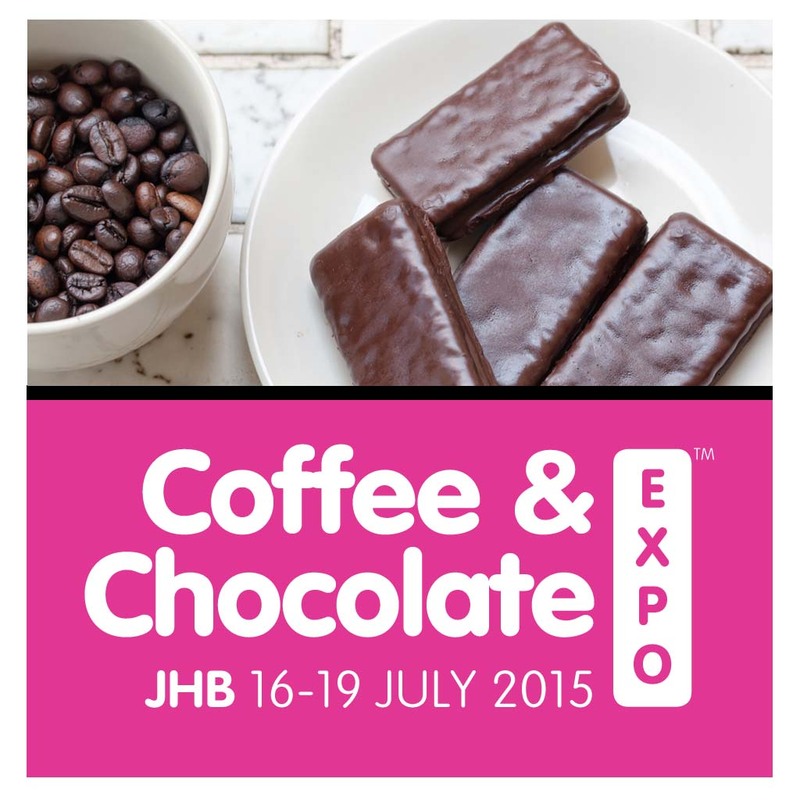 Decadent indulgence is what is happening at Montecasino when the Coffee and Chocolate Expo comes to Gauteng, 16 – 19 July 2015 for the third time. 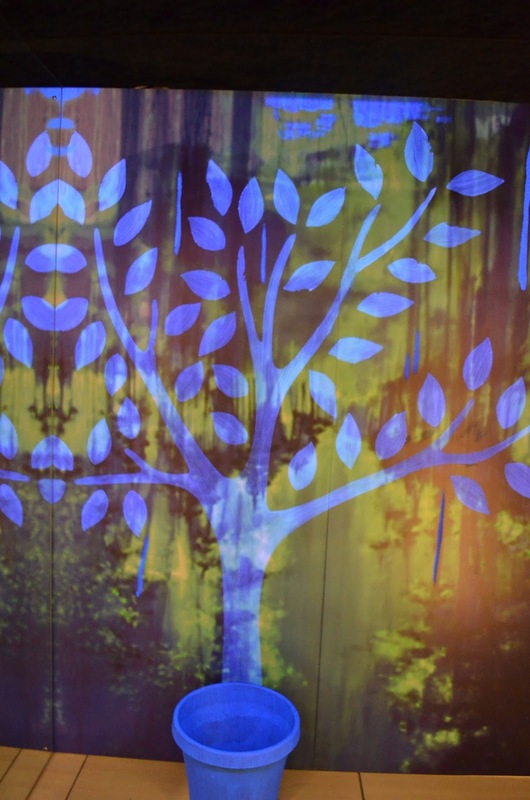 After rave reviews last year in 2014 this “exquisite visual and sampling extravaganza” will be here to delight chocoholics and coffee connoisseurs alike. Here are some of the photographs attached from the media invite where they challenged Chef's from Southern Sun, Sun Square, Cafe Cruz, 360 Degrees to come up with something unique having Coffee or chocolate or both. Enjoy learning more about coffee, its origins and how to pour the perfect cup at the Coffee Theatre, brought to you by Foghound Interactive, then complement that by sampling the chocolate magic created by some of Johannesburg’s top chefs at the Chocolate Workshop. This is really amazing concept which you must have seen being followed by brands like Cadbury's & Oreo also and I do recommend you to try this workshop. You can choose your chocolate base and then add your favourite 5 toppings from choice of 75 and decide on the different name and packaging to make it a personal affair. The cost to do all so at MyChocolate is within you reach and less than R100 most probably. Once you have tantalised your senses with the rich smells of coffee and tastes of chocolate, relish in the ambiance of the Cocoa Mokka Lounge. 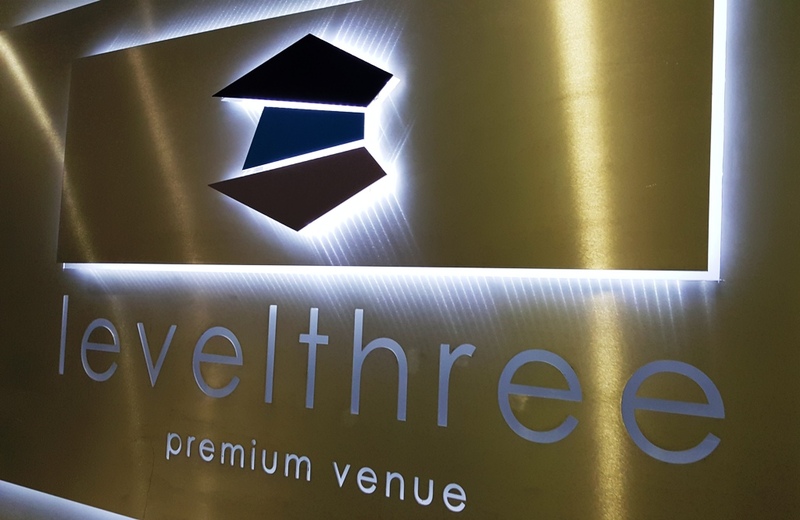 Offering coffee & chocolate pairings with wine whiskey and craft beer as well as live entertainment featuring The Motherland and some of Johannesburg’s top bands, take time out before moving on to your next tasting trip! In a quest to find the best coffee Home Barista in Gauteng, The Coffee Magazine, will be running the very first Home Barista Champs along with prizes to be won. This is something you can try if you have been receiving good comments about your coffee from your friends and family at home. Tickets can be purchased via iTickets and cost R100 per adult and R80 for pensioners and children under 10. Follow them on Facebook: /CoffeeChocolateExpo and Twitter: @Coffeechocexpo Get your tickets and enjoy the best you can get of Coffee and Chocolates. Check more photographs on my Instagram page. Every day is wine day with OBiKWA and with their wide variety of easy drinking, quality varietal wines you can afford to try a different one with every meal. In addition to the line-up of Chardonnay, Chenin Blanc, Sauvignon Blanc and Moscato to entice white wine lovers, OBiKWA also offers a blushing, refreshingly dry Pinotage Rosé. Red wine lovers are also spoilt for choice with Cabernet Sauvignon, Merlot, Pinotage and the much lauded, value for money Shiraz. With a different wine variety for every day of the week, OBiKWA is sure to add a touch of adventure to every meal from appetisers to desserts. Treat your family and friends to the Chardonnay with a layered Mexican salad and nachos, to a main serving of chicken wraps and Chenin Blanc or gourmet boeries and Pinotage. And lastly, finish off your perfect food and wine pairings with the irresistibly sweet one, Moscato. Life is a journey worth celebrating, so go on stick your neck out and grab a few bottles of OBiKWA. 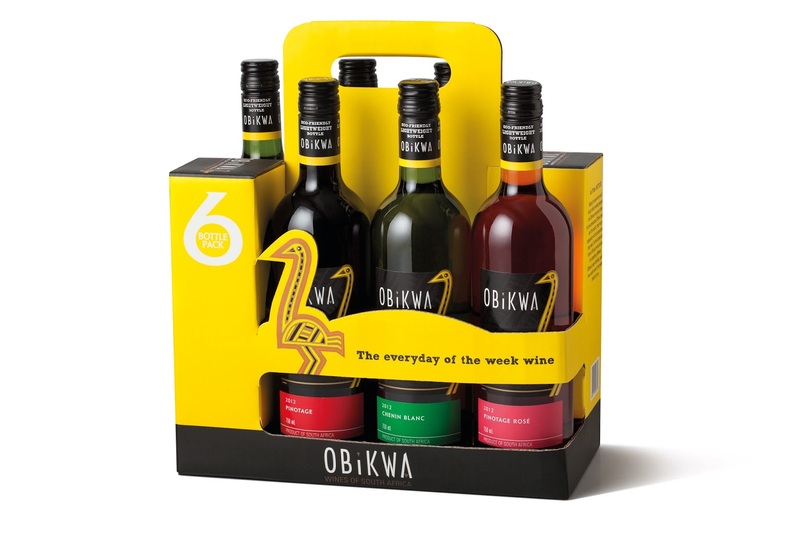 Selling at around R30 per bottle, the OBiKWA range of quality, value for money varietal wines is available country-wide. For more information visit www.obikwa.com, join the OBiKWA tribe on Facebook or follow them on Twitter @ObikwaWines. 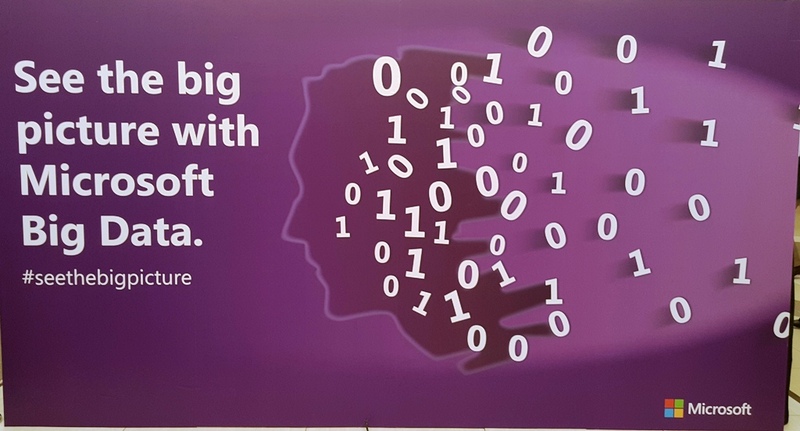 As with many other industry buzzwords, Big Data means different things to different people, but commonly accepted is the challenge of how to find, combine, manage and analyse any type and volume of data in order to quickly gain insights and solve problems. In practicality this means, for example, that advertising agencies would be able to improve campaign effectiveness and boost ad revenue with big data by providing crucial analytics to advertisers, faster. “To most people and organisations, Big Data might be no more than an industry buzzword. 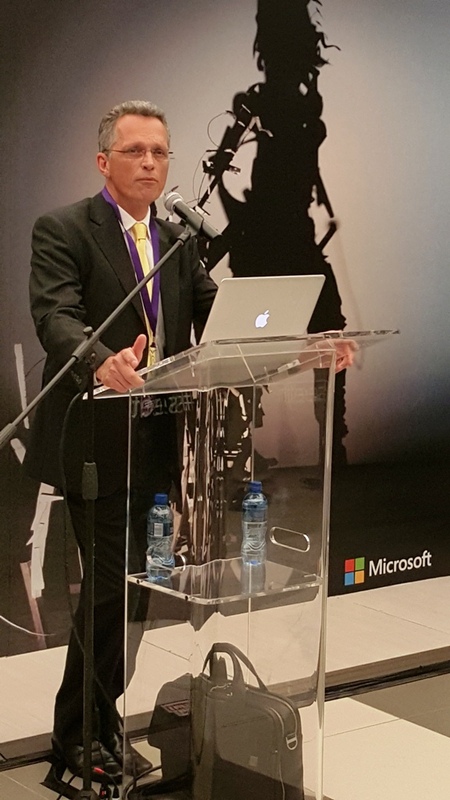 People and organisations need to be made truly aware of the capability Big Data has to deliver the competitive advantage for businesses or empower consumers to do more with the data that they have, and ultimately empower them to transform their businesses?” asks Kelly Husband, Data Platform Product Marketing Manager at Microsoft SA. Technology has the ability to empower people and organisation to see the big picture from the masses of data that is out there. Not many people are aware of the power that technology has to manage big data and turn it into meaningful insights and show the big picture. 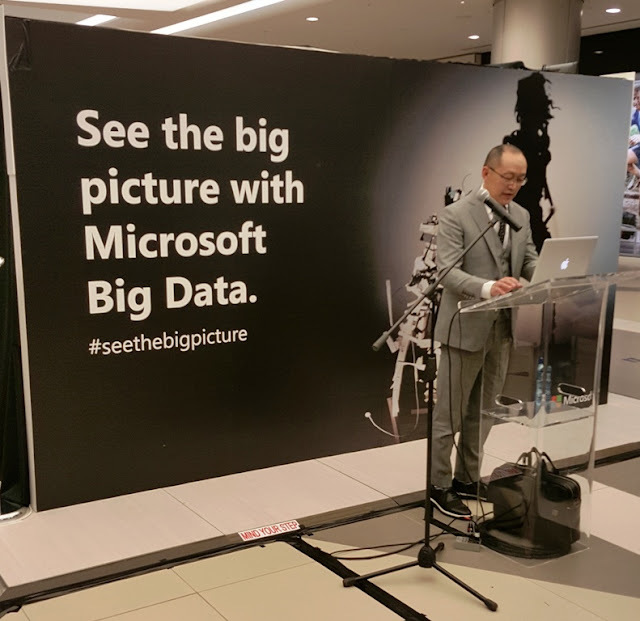 To illustrate the business benefits that Big Data analytics can unlock for local companies and communicate how international Big Data trends are relevant for local consumers, Microsoft partnered with Innovator and trend analyst Dion Chang. Chang asserted that the world of the consumer is changing; with the use and analytical power of Big Data, consumers are able to redefine the way they engage with brands, companies and services. Focusing on his most recent research findings in the retail sector, Chang went on to state that retailers no longer compete against their local, provincial or national competitors, but with global players. These global competitors are capable of quoting prices in local currencies and delivering products and services in the same timeframe as a local business is able to. To stay relevant to the customer, retail companies have to anticipate changes in buying patterns and product turnover by tapping into the power of Big Data. Follow Dion Chang on twitter & FluxTrends. Companies such as Tracker, a leading vehicle tracking company in South Africa, has been leveraging the data collected through the nodes in their customer database of vehicles to provide insights to organisations such as Navigation companies, Insurance companies, and Emergency Services. “With the use of already installed vehicle tracking devices, we are able to track the live movements of vehicles around the country, segmenting the data down to the side-streets of the city we can predict traffic issues, map traffic incidents and even help define the state of the roads. The possibilities are endless to help organisations like to improve the quality of our roads or reroute emergency services to help improve emergency response time,” says Wayne De Nobrega CEO of Tracker South Africa. 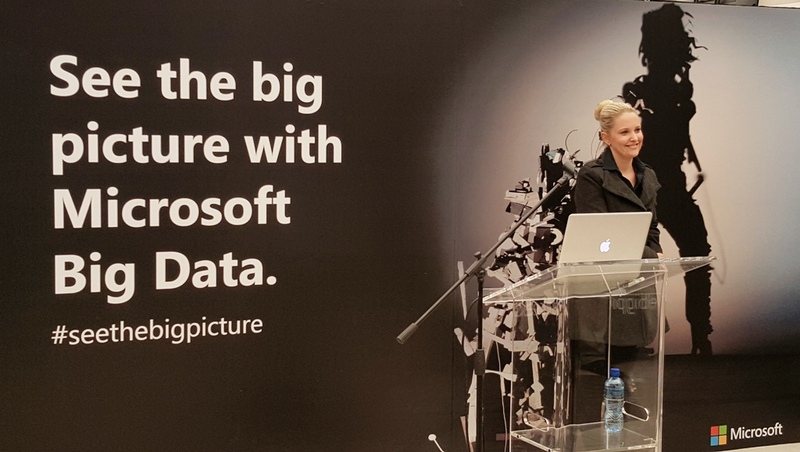 To address this, Microsoft South Africa has launched a Big Data campaign entitled See the big picture, to spark conversations around Big Data and educate people around the technological tools they can use to tap into the power of Big Data and see the big picture. As part of this campaign, the company commissioned six young artists to produce works of art that depict Big Data as seemingly meaningless pieces that only make sense or come into focus, when technology is used to interpret the artwork. All of these photographs are taken using +Samsung Mobile #GalaxyS6 phone which I received for product review. Donning their finest winter chic, Jozi fashionistas toasted the longest night with flutes of bubbly at J.C. 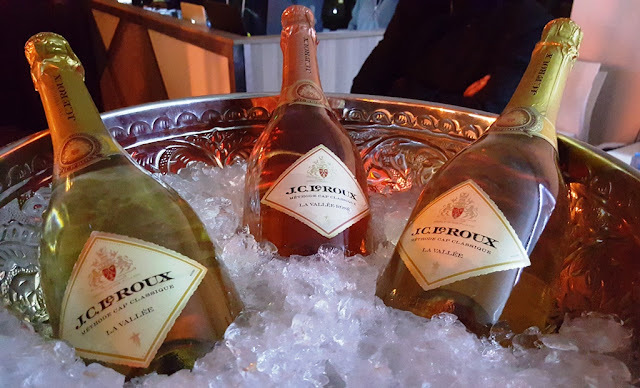 Le Roux’s glamorous Winter Solstice Celebration on a cold night of 20th June 2015 . Guests also got up close and personal with the limited edition J.C. Le Roux Winter Solstice Collection, three beautifully designed packs showcasing Le Domaine, La Fleurette and La Chanson for the first time with different designs and ribbons in celebration of the winter night sky. The limited edition bottles will be up for sale only for a month and are available in all stores across the country at R59 each. 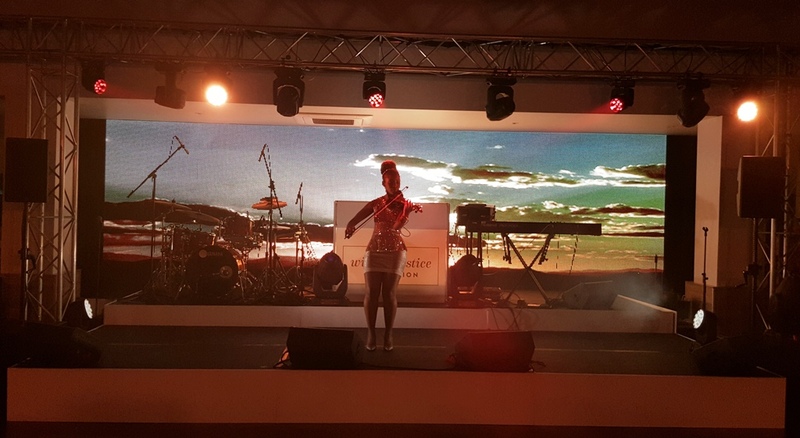 Famous faces spotted at the event, held at the trendy Level 3 in Marlboro place, Kramerville, included actors Diaan Lawrenson, Jody Abrahams, Atandwa Kani, rugby player Robbie Coetzee, SABC 2 news anchor Louise Wingerden and YFM DJ Ayanda Mdluli. 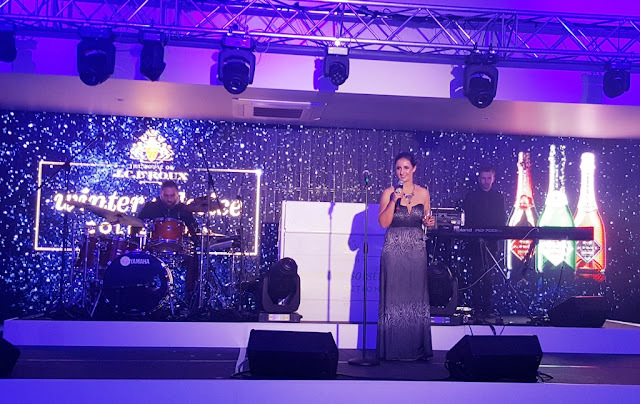 The evening certainly provided one bubbly highlight after another, with superb live electric violin music followed by a breath-taking laser show and a surprise performance by songstress Chiano Sky. 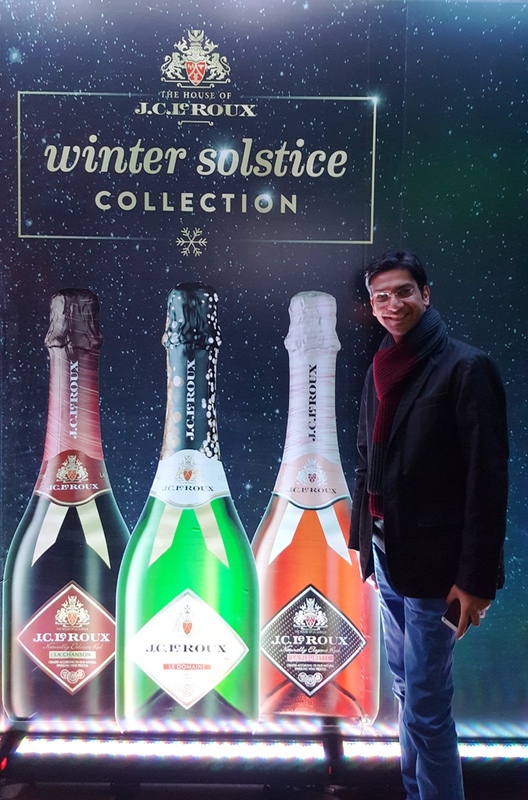 Ebith Jurgens Brand Manager #JCLeRoux welcomed all the guests and explained about the new Winter Solstice Collection. The DJ played all the favourite songs and everyone was on the dance floor till the end of the party at around midnight. Chiano Sky was awesome and even sang a song from her latest album which will be out in the market in July. The guests were given awesome J.C. LeRoux soft blankets to keep them warm after the party also in their goodies bag along with a bottle opener. It was an awesome launch event and I really enjoyed myself with great food and company. 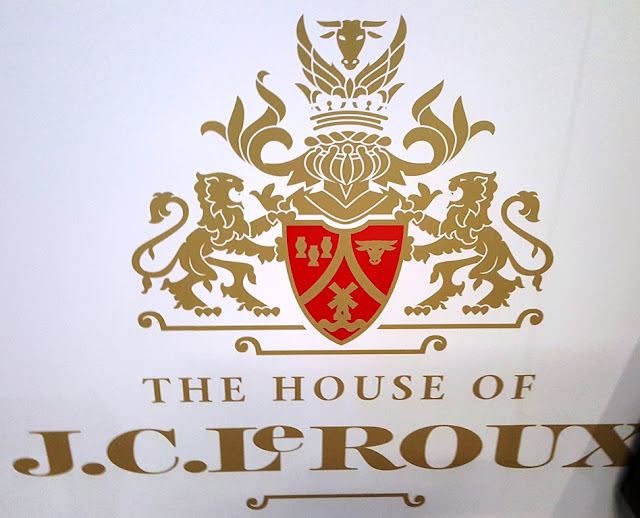 Follow the brand on twitter, facebook, instagram & https://www.jcleroux.co.za/ . Thanks very much to @GC_Com once again for the invite to this awesome launch event. It's been many years since I tried any of the Sony mobiles and when I visited the website some weeks back, I could see the whole range of smartphones catering to different segments. I remember the last time when I bought a Sony phone just to get the goodies from Orange Stores in Southwark, London as the price of goodies was much more than the cost of the phone. The phone was the cheapest option available in colored screen with Walkman feature and at that time in 2011, I paid £49 for the same. I still have that Sony phone which I use in emergency when the battery dies on the main phone. I do keep an eye on the flagship models that are available in the market from all the brands but never got the opportunity of venturing into the value range of products for Sony Mobile Communications. I got this device names Xperia E4 to review for 2 weeks. It was my first experience of Sony's user interface on android device, all the various apps and camera functionality which comes along with the smartphone. Sony Xperia E4 is a value segment phone which is targeted at the young generation. The phone has big 5" qHD smart display which helps you to view the phone screen from any angle to get super sharp image and accurate colors. Thought the ppi density (960x540 pixels) is less on the phone but considering the price that's good which also comes with scratch resistant glass. I watched a complete movie on Youtube on this screen and never felt the need to watch the same on tablet or laptop. The other feature that kept me glued to the device was it's xLOUD Loudness Enhancement Engine which really helped me listen to dialogues of the movie without any need of headphones or so in a home environment where kids are also making a lot of noise playing etc. The audio was crystal clear (Clear Audio+ technology) and I even used their normal (old style) earphones but they produces some nice quality music and I was lost in my own zone within no time. Also the equalizers that are available in this smartphone makes you really go in your own zone. I totally loved this feature and also Walkman phones needs no introduction and hence the legacy continues in all of Sony Xperia devices. Sony Xperia E4 smartphone has 1.3 GHz quad-core processor (ARM Mali-400 MP2) with 1GB RAM and 8GB of ROM. The memory capacity can be extended upto 32GB using the micro-SD card which goes behind the cover on the back of the smartphone. The phone runs on Android 4.4 KitKat and weighs only 144 grams. The curve factor is very high on the phone and it feels really nice to hold the phone. The battery capacity of Xperia E4 is 2300 mAh and comes with power savings features called STAMINA to extend the usage of the smartphone. I was able to watch the 3 hours long hindi movie on Youtube with 35-40% reduction in the battery life of the phone on wi-fi network at home. I also installed some games from PlayStore and was able to play them without any lag on the new review device but may be when all the apps are running and consuming data then there will be lag due to only 1GB of RAM. Sony Xperia E4 has 5 megapixel rear camera with flash and front camera is 2MP (720p video capability). Here considering the fact that all value segment devices from other manufactures are going towards 5MP wide selfie camera, Sony didn't followed the herd race. But I took some selfies which were really clear and crisp. The main camera also takes nice pictures with 4X digital zoom & image stabilizers and I found them good enough for a phone in the value segment. The rear camera takes Full HD videos at 1080p. The phone screen feels like sitting on the top of the body of the phone and I never felt that the phone has 5inch display as it was so easy to grasp the phone. Underneath the back cover you will find slots to insert the micro-SIM and micro-SD card. The battery is hidden underneath the cover and can't be taken out. The power button and volume rockers are on the right hand side of the phone. The top portion has 3.5mm jack for your earphones etc and left hand side has the mini-USB charging port. The phone package contains Xperia E4, a charger, cable (small length) and earphones with mic along with some manuals, warranty etc. The phone also has a dual-SIM version available. The phone is available in two colors - Black and White and priced at around R2100 on Orange website for South Africa. It was a great experience to use a Sony Xperia device made especially for the value segment customers. Also the Sony has made the whole experience towards using the phone to develop your interest in mobile photography and music. They have various tutorials on their website to learn various types of mobile photography and camera software on the phone offers you a lot to venture into the same. The phone is really nice for the students and gives you a long battery output which under normal conditions goes till 2 days. If you want a new phone for day to day activities then this is the phone to go for. Follow Sony Xperia ZA on twitter and Facebook. Microsoft could have been late to enter the buzzing smartphone market but since the time it has arrived, it has taken the world by storm with its Lumia devices which have some of the best features in all the range of products. Though Lumia was earlier Nokia's range of products but Microsoft has enhanced it further and taken it to the next level with all new range of smartphones. Even the Microsoft App store now has a lot of popular apps that are launched for iOS and Android and gives you some decent options to choose which apps you want to install on your smartphone. Microsoft Phone has launched it's own very first phone with all Microsoft branding named Microsoft 535. The phone is launched for value segment featuring 5MP selfie (front) camera and Windows 8.1 operating system with Lumia Denim.Qualcomm Snapdragon 200 Quad Core processor is clocked at 1200 MHz with 1GB RAM gives enough power to meet your day to day requirements. The phone looks good and feels nice. The phone has very nice form factor with minimalistic buttons on its sides. Right hand side has power button in the middle and above the same volume rocker buttons captures the side. The left hand side of the phone has no buttons. The bottom has only micro-USB charging point. The top side has 3.5mm jack towards the left to take care of your headphones/earphones etc. The back covers are interchangeable and are available in six colors. The phone comes with a wall charger, Microsoft earphones (old style) and interchangeable battery. The battery is 1905mAh (3.7V 7.0 Wh) rechargeable Li-ion with Microsoft Mobile branding. The battery gives sufficient power to last 12 hours under moderate usage. Underneath the back cover is the micro-SD card slot for expanding the memory upto 128GB for your music etc and micro-SIM card slot. Dual-SIM version is also available in the market and Lumia 535 is going at around R1700-1900 pay-as-you-go. Microsoft Lumia 535 has 5inch qHD (IPS LCD) display with 220 ppi pixel density. It has Corning Gorilla Glass 3 which is a scratch resistance glass and seen very less in this price range. The phone has 8gb ROM out of which only half (nearly 3.7GB) is available for the user for media etc. The phone only weighs 146 grams and feels really light to carry around. The front camera is 5MP with focal length 24mm and rear camera which is also 5MP has focal length of 28mm. The camera can shoot video with 30fps in FWVGA resolution (848x480). Lumia 535 comes with a lot of apps pre-installed which helps a lot as straight out of the box you can start using them if you have a Microsoft account. A single-sign-on enables all the Microsoft enabled apps. Lumia Selfie, Lumia Camera, Creative Studio etc are vaious apps that helps you to better your photographs. Overall, this is a phone for the value segment with large display and 3G capability. The phone has trendy looks to cater to students segment with changeable covers and battery. The phone doesn't comes with any micro-USB cable to transfer your content to laptop but has features by which you can share your content with others. Also, the Lumia Selfie camera doesn't inverts the picture making alphabets written go mirror-imaged which has been same since last phone I tried. This is an error in the software for the front cameras they have installed in the phone. After a breath-taking event held in Cape Town earlier this year, the Mercedes-Benz Bokeh Fashion Film Festival arrived in Johannesburg for a one night only extravaganza at the Mercedes-Benz Lifestyle Centre in Bedfordview. The location was awesome as it was a AMG special dealers showroom and really loved all the latest models of cars on display. 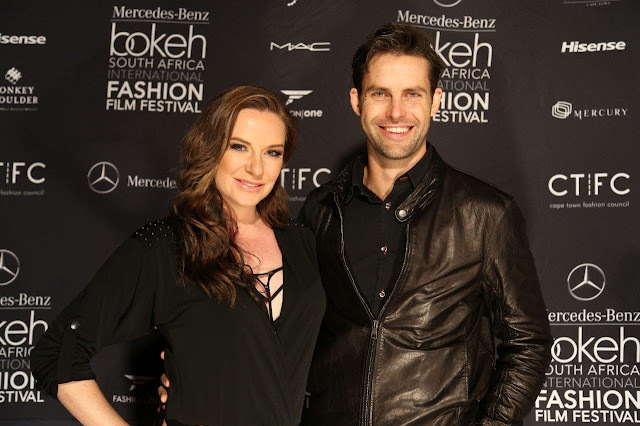 Invited guests braved the onset of winter and freezing temperatures to dress in their fashionable best and join celebrities, VIP’s, local and international film-makers for a sensory interactive brand experience. Each guest was chauffeur driven in the latest Mercedes-Benz models and entered an Oscar style red carpet flanked by a host of local and international media jostling for the perfect shot and interview opportunity. Aidan Whytock, winner of The Mercedes-Benz Award along with the US$ 10000 prize money, thanked founder Adrian Lazarus and Mercedes-Benz for their commitment and support, and mentioned that the competition had allowed him to showcase his winning film internationally, opening doors and opportunities for himself and other entrants. His movie was simply awesome and moved the other passionate photographer to learn some of the video photography and participate next year in this contest. 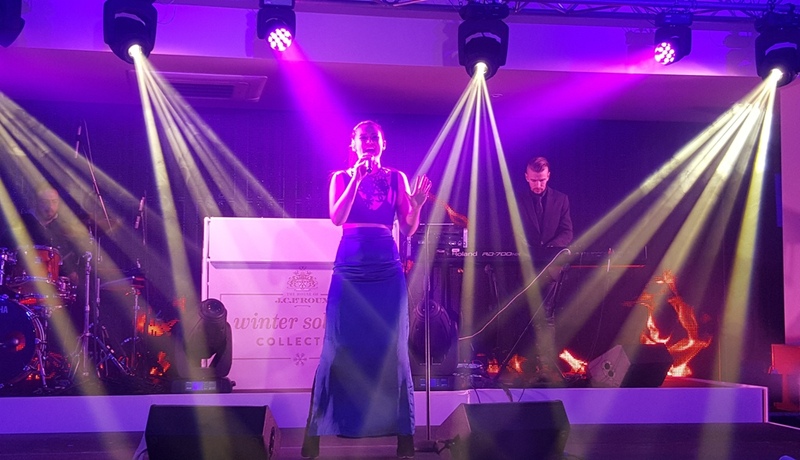 The Cape Town Fashion Council were joined on the evening by some of South Africa’s top designers including Spero Villioti, Hendrik Vermeulen, and Gert-Johan Coetzee. The ever stunning MC Bailey Schneider donned an exquisite Spero Villioti Couture dress to welcome the guests and introduce proceedings. 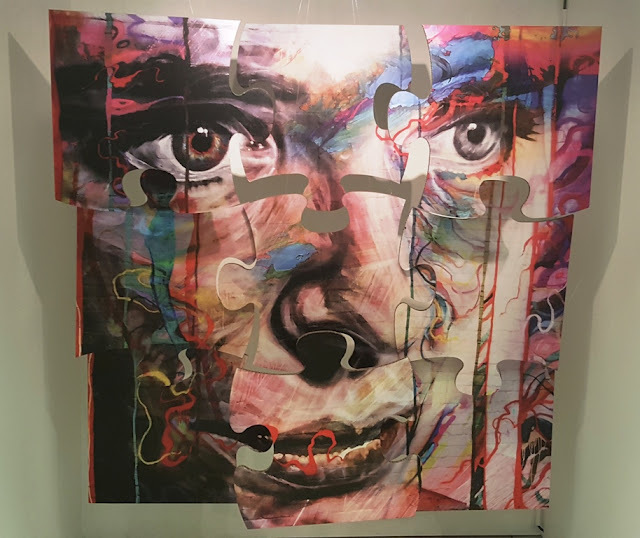 Catherine Timotei also grabbed the attention by exhibiting several original art masterpieces and Mercedes-Benz had guests drooling at an interesting showcase of their latest and greatest cars. What started off as a dream for founder and MD, Adrian Lazarus, is now a reality. “We’re just getting bigger and better every year, and once again Johannesburg didn’t disappoint. Guests ventured out in freezing conditions tonight to join us and experience the incredible talent that this year’s Fashion Film Festival offered, and we are all delighted for the support as well as our amazing sponsors,” said Adrian. It was really freezing as the weather Gods decided to start winters on that very first evening but the warm food and drinks kept us sane. Sponsors of the event included: Mercedes-Benz South Africa, Hisense, Cape Town Fashion Council, Fashion-One TV, MAC cosmetics, Luxury Brands, GHD Hair care, Sunglass Hut, Monkey Shoulder, Tranquini and African Pride Hotels. Tranquini was a nice non-alcoholic drink which is catching a lot of attention and I really loved drinking the same. The goodies bag has awesome Mercedes Benz 8gb pendrive, Mercedes Benz Keyring along with Sunglass Hut Gift vouchers and the very first issue of BOKEH magazine which was launched recently. Overall, it was a great event with lot of great Mercedes-Benz cars, selfie stick models and live performances by entertainment singers as some models of the cars make their way into the event area. Keyboard was an integral part of our desktop and laptop experience till the time touchscreens have taken over in Windows 8 and mobiles/tablets environment. From time to time keyboards have been given various design changes by several brands to include multiple functionality like multimedia capabilities and gaming experiences. These days Swype and other flow keyboards have taken the world by storm in the mobile and tablet environments. I still remember the first keyboard I saw was a big huge MS-DOS operating system machine way back in 1992. When my father bought me my first desktop, I got this amazing keyboard with volume and other multimedia controls way back in 2002. With the old technology making way for the new, I saw wireless keyboards way back in 2005 and instantly fell in love with the same. The price was at least 10 times more than a wired branded keyboard. Today I am writing this blogpost from the Microsoft's All-in-One Media Keyboard with my laptop long far from my hands and connected via wireless (USB) dongle. As I am writing this first post from this keyboard I am falling in love with this tech. Though I have been using a wi-fi mouse since 2011 and loved Microsoft Arc mouse also but this is an amazing keyboard as it has integrated muti-touch trackpad. The trackpad has left and right click buttons as available in any normal trackpad and mouse which makes the experience of using this keyboard much more great. Microsoft All in One Media Keyboard runs on 2 AAA size batteries (included in the package) and have a magnetic slot to keep your usb dongle (nano-receiver) attached to the same hidden underneath along with the batteries compartment. The power on off button is on the right hand side of the keyboard if you want to preserve battery life when not in use. The trackpad is really sensitive and responsive with swipe, drag, zoom and click with ease. Just by tapping two fingers it gives right click menu. The pinch and spread to zoom works just fine. There are many more such features you can use if you are using Windows 8 machine. The keyboard also works with some selected Smart TVs and gaming consoles which can be checked online for compatibility. The keyboard has spill-resistant design and each key has it's own space between themselves. Overall, this Microsoft All-in-One Media Keyboard is great to buy as it gives you access to both keyboards and trackpad functionality. The price varies between R450-500 across various stores in SA. Follow them on twitter and Facebook.